Home > Shop By Brand > Sonus Detailing Products > Sonus Trim & Motor Kote 16.9 oz. Sonus Trim & Motor Kote 16.9 oz. Silicone protectants and dressings wash away after one or two washes, but Sonus Trim & Motor Kote wears like iron! Are you tired of applying silicone sprays and dressings on your textured plastic trim, wheel well liners, and engine only to have it wash away or evaporate in a matter of days? There is a better way to treat these surfaces: Sonus Trim & Motor Koteï¿½. Sonus Trim & Motor Kote is an easy-to-apply acrylic wax coating that protects textured plastic, rubber, cast aluminum, vinyl and paint. Designed for high temperature applications, Sonus Trim & Motor Kote withstands 240 to 280 degree temperatures for extended periods, making it the perfect wax coating for your engine, bed liner and other exposed black plastic trim. Sonus Trim & Motor Kote is resistant to water and road salts. Use as an undercarriage dressing to beautify and protect. When applied to clean wheel well liners or painted undercarriage areas, Sonus Trim & Motor Kote restores a fresh, new appearance. Use Sonus Trim & Motor Kote on plastic rocker panels and under-bumper valences for protection that lasts weeks, not days. The finish is a natural sheen that looks new, not artificial. When dry, Sonus Trim & Motor Kote is not greasy or tacky, so it will not attract dust or dirt. Sonus Trim & Motor Kote is a spray-on, walk-away acrylic wax sealant. Unlike most dressings, Trim & Motor Kote penetrates, bonds and dries hard to completely protect the treated surface. Silicone dressings and protectants canï¿½t compare. Makes engines and undercarriages look like new! Protects engines against corrosion. 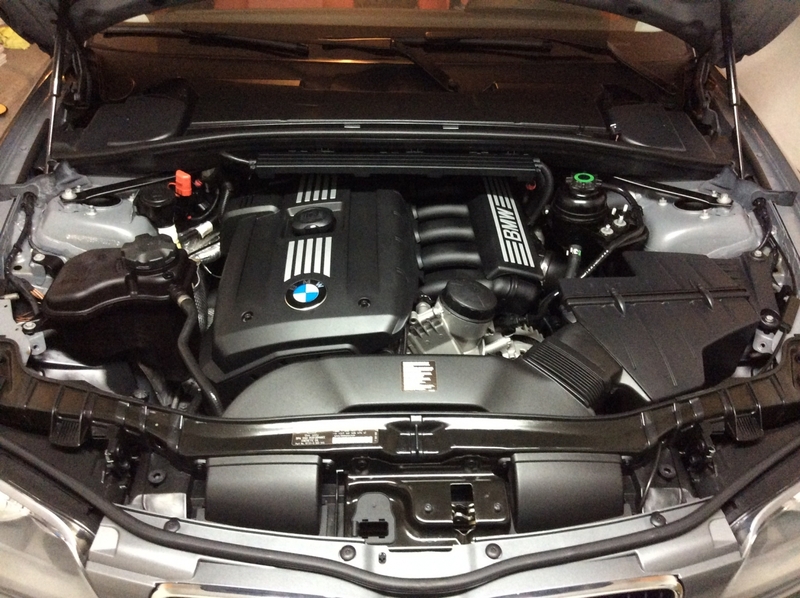 Replaces OEM factory engine treatment. Beautifies and protects plastic cladding, rockers and valences. Outperforms all silicone gels, sprays and creams! Dries to a satin, dust resistant finish. Shake well before use. 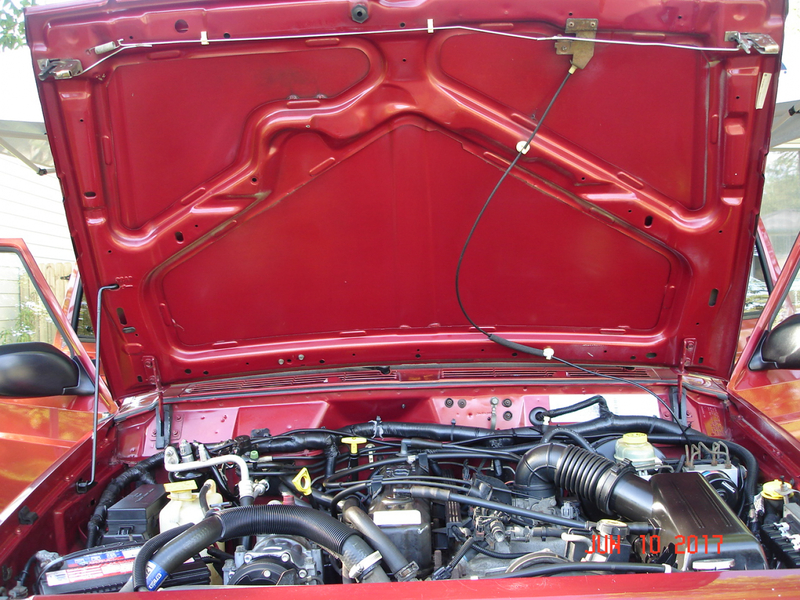 Thoroughly clean and dry engine or trim before treatment. Apply only to a clean, dry surface. Protect areas that you do not want coated with Sonus Trim & Motor Kote. A small piece of cardboard makes a good spray shield or tinfoil. Sonus Trim & Motor Kote dries to a clear, dust resistant, satin finish. Spray two generous coats to cover area, allowing 15-30 minutes drying time between coats. Thin spray will tend to spot. DO NOT WIPE. Allow one hour final drying time before use. Remove overspray with a damp towel before product dries. For exterior use only. Not recommended as a tire dressing. After use, flush sprayer with fresh water to prevent clogging. 16.9 oz. spray bottle. Made in the USA! Griots Garage Undercarriage Spray 22 oz. Sonus ION Paint CoatingSonus Gloss Shampoo 16.9 oz.Sonus Glyde Clay Lubricant 16.9 oz.Sonus SFX Ultra-Fine Detailing Clay - 2 BarsSonus Paintwork Cleanser Prewax Polish 8 oz.Sonus Swirl Buster 16.9 oz.Sonus SFX-1 Restore Polish 8 oz. Sonus SFX-2 Enhance Swirl Remover Polish 8 oz. Sonus SFX-3 Final Finish Polish 8 oz. Sonus SFX-4 Paint Sealant with Polycharger 8 oz.Sonus Acrylic Glanz Spray Sealant 16.9 oz.Sonus Acrylic Spritz Quick Detail Spray 16.9 oz.Sonus Carnauba Spritz Quick Detailer 16.9 oz.Sonus Vision Glass & Plastic Cleaner 16.9 oz.Sonus ALL-IN-1 Total Auto Cleaner Concentrate 16.9 ozSonus Der Wunder Microfiber and Pad Wasche 16.9 oz.Sonus Aluminum Restore 16.9 oz.Sonus Chrome Polish - Free Bonus!Sonus Aluminum Polish 8 oz.Sonus Aluminum Sealant 8 oz.Sonus Cockpit Detailer Spray 16 oz. I was skeptical as I applied this "spray and let it dry" product, but will admit that it turned out great. Yes you do need to follow the directions and go over with a second coat. Then let that dry for some time, preferably overnight if you can. You'll be very impressed with the results. Mine is also holding up well several months later. The reason I give 4 stars instead of 5, and this is minor, but the foam engine cover on my wife's explorer did not take as well to this product as the hard plastics and metal in the other areas and with my Pontiac. So be aware of this one drawback. 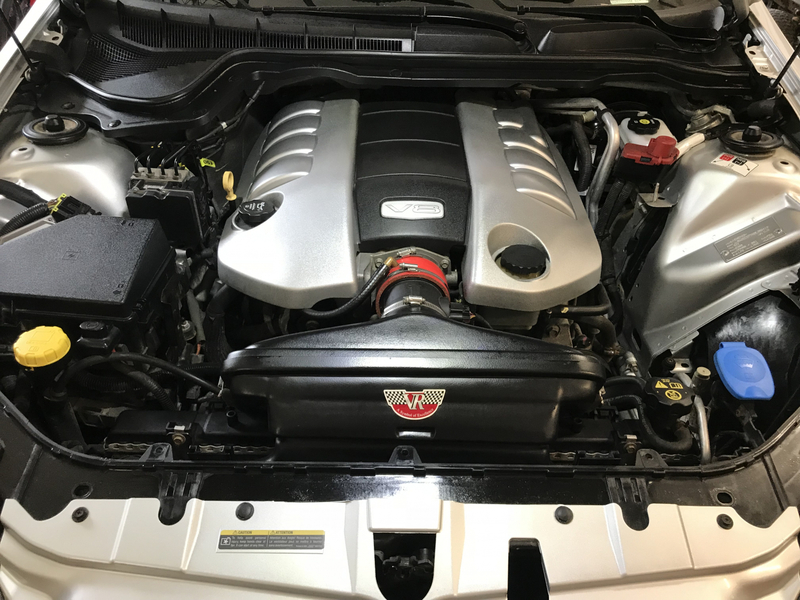 I detail engines and this is the best that I have used thus far. Clean up the engine as well as possible before using. Happy detailing! This stuff is the best! The product does splotch up when you use it. It says do not wipe but I spread the product around with a clean terry towel and waited until it dried. Turned out perfect! Protection lasts a year! Easy to use, unless you're a control freak. Cleaned and dried my engine. Sprayed this product on (lightly) and it looks blotchy. Followed the directions and lightly sprayed again. Still looked blotchy I wanted to wipe it smooth. Instead I shut the hood and waited til morning to look again. It smoothed out and gave the plastic/rubber parts a nice satin sheen. It seems to be working and after two weeks the engine still looks clean. As far as I can tell, it's doing it's job. ConsLooks like a mess when wet. Spray on and walk away! Nice!